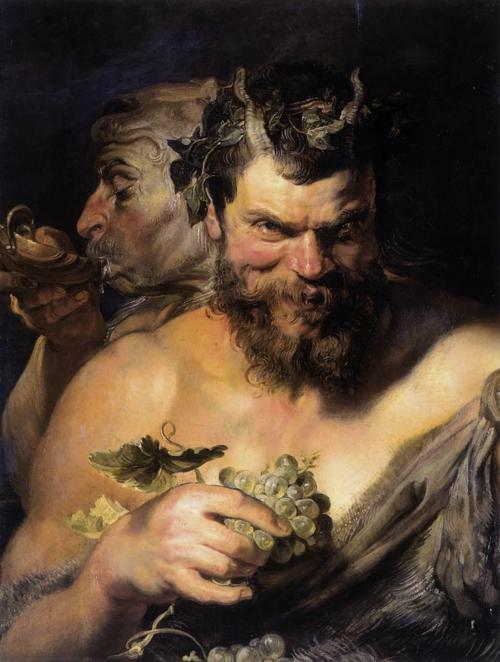 Two Satyrs by Peter Paul Rubens | Crabbish. And Quixotic. I love Peter Paul Rubens, and this is one of my personal favourites. The image of pure hedonism; the right side of the satyr’s face, gorgeous and tempting in the light, but frightful and almost satanic on the darkened shadowed side. Two Satyrs, Circa 1618-19.